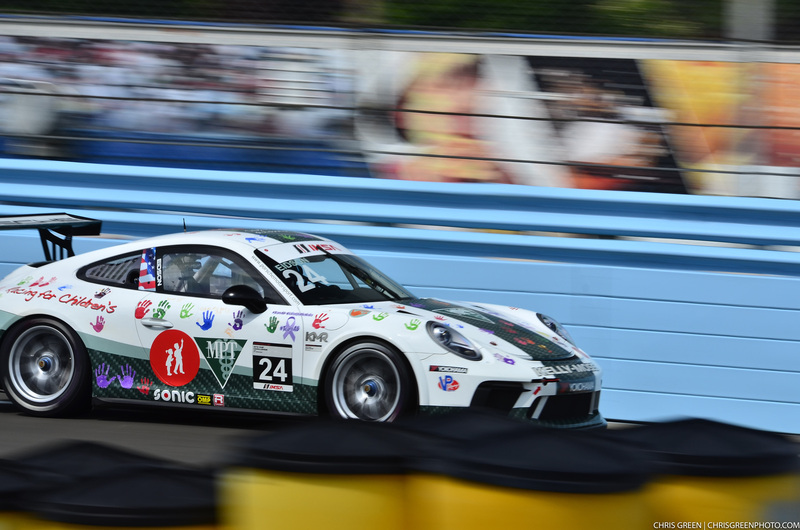 Watkins Glen, N.Y. (1 July 2017) – It was yet another winning weekend for Kelly-Moss Road and Race (KMR) at Watkins Glen International as the team campaigned six cars in four races at the fabled Upstate New York circuit. The Wisconsin-based squad fielded five entries in the Porsche GT3 Cup Challenge by Yokohama series while also campaigning the No. 14 Ignite / Mattoni Water / Edoardo Borrelli / Ernst Kelly-Moss Road and Race Benz / Sherwin Williams / Replay XD Norma M30 for Colin Thompson in Prototype Challenge presented by Mazda competition. 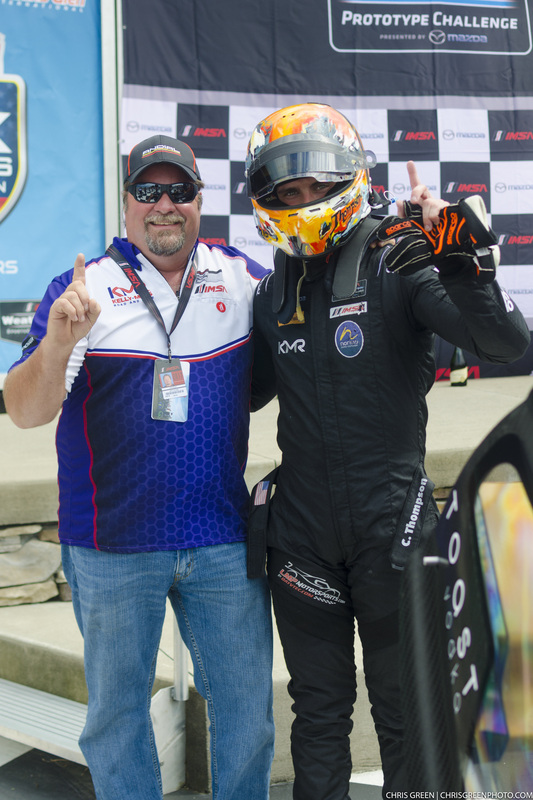 The team tallied two more victories on the season as Thompson broke through with the Norma to win his first Prototype Challenge race of the weekend, while Jake Eidson (No. 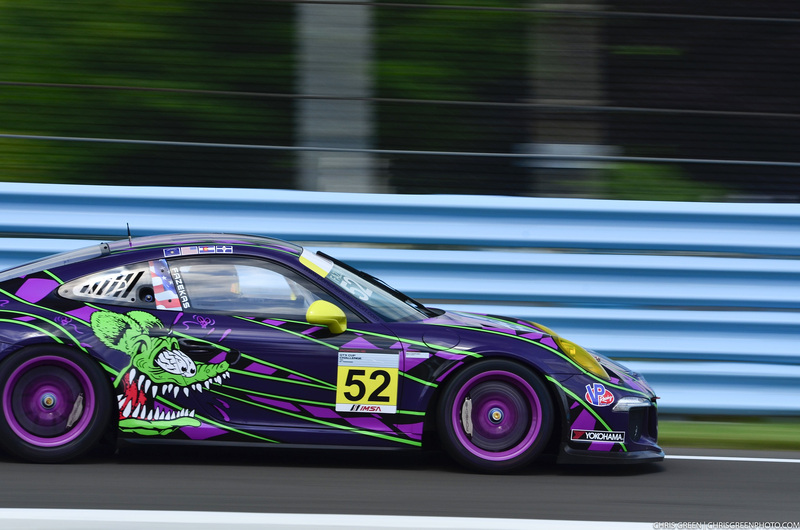 24 Kelly-Moss/Hurley Haywood Scholarship Porsche GT3 Cup) won his fourth Porsche GT3 Cup race of the year. Kelly-Moss Road and Race was prepped for the double-header event for the Porsche GT3 Cup Challenge USA by Yokohama. With both the Canadian and North American series staged to race together, 36 cars took the green for the weekend’s events. Hurley Haywood Scholarship Porsche GT3 Cup winner Jake Eidson led the massive field through the green for Race 1 from pole position. After only completing one hot lap a significant crash forced a red flag. Ultimately the race was abandoned, and will be run at a later date. On Saturday, tricky conditions greeted the racers for Race 2, but the green flag saw a dry line emerge through the laps. Eidson, who started on pole kept a handle on his car as he worked through ever-changing track conditions, taking the Porsche GT3 Cup Challenge by Yokohama America championship win and coming home second overall. KMR pilot Tom Haacker scored a Platinum Masters podium with a run to third in the No. No. 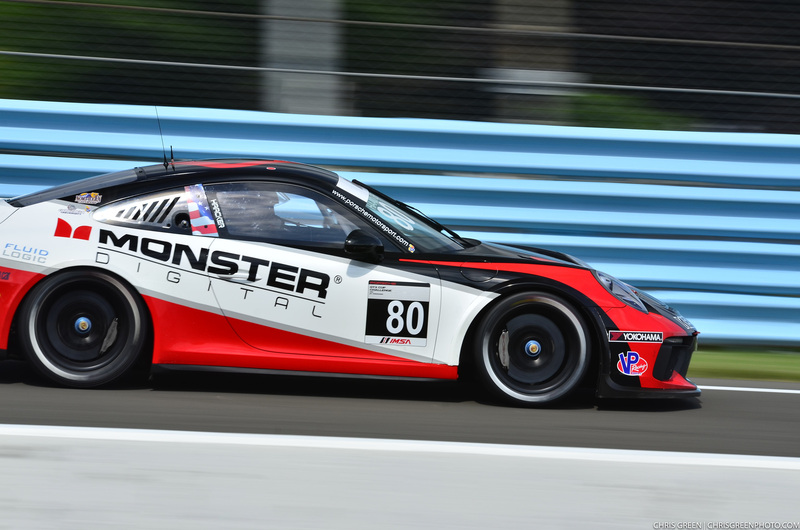 80 Monster Vision Porsche GT3 Cup/Platinum, while his KMR teammates Fazekas (No. 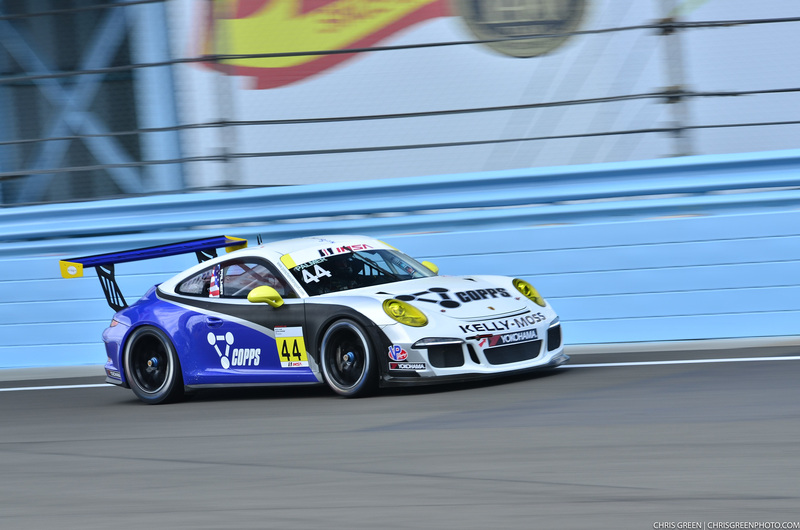 52 Kelly-Moss Porsche GT3 Cup) finished eighth, while Greg Palmer came home in ninth. After a opening race that ended with significant damage for several competitors, the team was happy to see a clean Race 2 as the drivers showed well in challenging conditions. Colin Thompson proved early in the weekend that his Norma chassis was a force to be reckoned with after putting his No. 14 Ignite / Mattoni Water / Edoardo Borrelli / Ernst Kelly-Moss Road and Race Benz / Sherwin Williams / Replay XD Norma M30 on the pole for Race 1 & 2 for the IMSA Prototype Challenge presented by Mazda at Watkins Glen. Race 1 saw Thompson make an instant break to the front of the pack at the drop of the green. Despite getting pressure for the lead through the full length of the race, Thompson kept the car out front to cross the line first after leading all 20 laps. 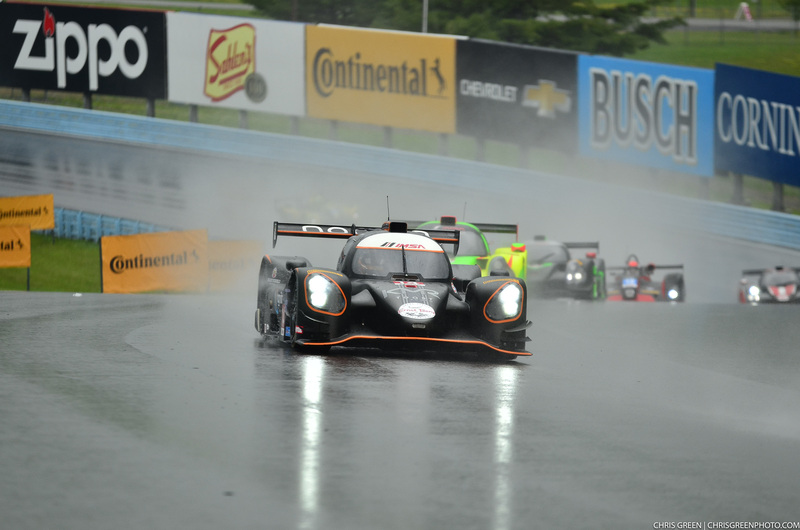 As rain moved in early Saturday, the field of Prototype Challenge drivers opted for slicks for the start of Race 2. Starting from pole, Thompson was looking to make the most of the clear view, but soon lost traction in the soggy conditions, moving him to the back of the field. After assessing the damage, Thompson made a massive charge forward, pushing the limits all the way to the checkered flag to put himself back on the podium in third for the LMP3 class. The victory marked the culmination of a huge effort that started in the days leading up to the season-opening race at Sebring in March. After showing speed on a range of tracks, the Norma was able to emerge with a debut victory at Watkins Glen. It’s a quick turnaround of racing for the Kelly-Moss crew as they will head to Canadian Tire Motorsport Park with the Prototype Challenge presented by Mazda series next weekend, July 7th – 9th.